Technology can be both extremely helpful and time-consuming. One minute you’re on your phone Googling how to whip up some gluten-free blueberry muffins for Saturday brunch, and the next minute, you’ve hit the “You’re All Caught Up” message after scrolling for 15 minutes on Instagram. So when do we know it’s time to put the phone down, step away from the screen and take a break? And why should we do a tech detox frequently? Blue light comes from the sun, electronics, fluorescent and LED lights. When these lights penetrate your eyes, they can cause long-term damage. Spending countless hours on electronics is not only damaging to your eyes but also can affect your mental health. 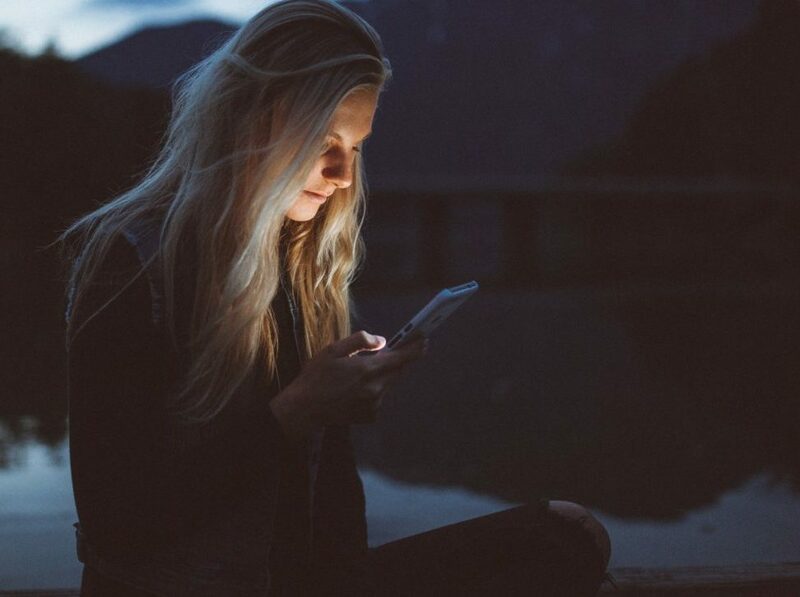 If your eyes burn or feel extremely dry, if you are having trouble falling asleep at night or if you find it difficult to focus, these could be signs that you may need to go on a tech detox. Replace screen time for quality time with friends and family. You also can choose something you enjoy doing that gets your brain and body moving, whether it’s a workout, putting a puzzle together, painting, reading or cooking your favorite recipe! The University of Pittsburgh’s Center for Research on Media, Technology and Health surveyed 1,787 adults in the U.S between ages 19 and 32, and it found that more than a quarter of the participants were classified as having high indicators of depression from social media. The center’s research suggests that people who use social media frequently are 2.7 times more likely to have depression. Other studies have linked social media to increased rates of anxiety and poor sleep. In the fall, Apple will be releasing iOS 12, including its new screen-time feature designed to monitor and manage phone productivity. This new feature displays the hours spent per day on apps and websites, and it allows users to set time restrictions and gain control of their Apple device. Before the release of screen time, I recommend giving yourself an allotted time per day for personal screen time. Turn your phone off (or change the settings) at night: My husband, Sam, and I turn off our phones at night to be more connected with our two sons. If you’re on your phone at night, use the iPhone Night Shift function to automatically switch the display setting from a blue light to a warmer tone. There is also a section under iPhone settings called Display Accommodations, where you can customize the colors, filters and brightness on your device to protect those eyes. We only get one set, so we have to treat them with care! No phones at the table: At home, we have a bin where we stow away our devices during mealtimes. This allows us to look into each other’s eyes and talk face-to-face without any distractions or interruptions during family time.